I remember hearing that and thinking to myself, for the first time, maybe the PC(USA) had lost its mooring. But then in the spring of 2013 Steve Yamaguchi, then the Presbytery Pastor of Los Ranchos Presbytery explained not only what happened at that General Assembly in 2001 when they refused to declare Jesus Christ as the “singular, saving Lord,” but why it happened. I felt much better about the denomination again after listening to Steve. Below is a 6 minute audio recording of Steve explaining why it happened at a presentation made at Christ Presbyterian Church in Huntington Beach, CA on September 26, 2013. I encourage you to listen to Steve’s brief, but full, explanation of why it happened, but here is a summary of what he said. In July 2000 The Reverend Dirk Ficca, a PC(USA) pastor and Executive Director of the Council for a Parliament of the World’s Religions, made a speech at a Peacemaking conference held at Chapman University where he asked the rhetorical question, “what’s the big deal about Jesus?” That question was then lifted out of context by publications and became an inflammatory headline causing an outcry in the denomination. In the process of doing this however, one commissioner who was on that committee, brought a statement and wanted to use language that said Jesus is “singular, saving Lord.” The committee felt like that was not traditional language. Historically the church has never used this phrase “singular, saving Lord,” so the committee, and then the General Assembly, rejected that language in order to affirm the unique authority of Jesus Christ as Lord and that Jesus Christ is also uniquely Savior of the world. The headlines read, the PC(USA) refuses to affirm that Jesus Christ is “singular, saving Lord,” which is true, however, we did affirm he is the only Lord and the only Savior. Advocates for leaving the denomination are still using this very misleading headline to point to the denomination’s theological drift. The GA overwhelmingly approved “Hope in the Lord Jesus Christ” by a vote of 497 yes, 11 no, 5 abstentions. In addition to what Steve has said, Los Ranchos Presbytery hosted a panel discussion this spring and addressed the same misleading statement. I am deeply concerned misrepresentations like this are leading congregations to seek dismissal from the PC(USA). The PC(USA), by an overwhelming majority, affirms the Lordship of Jesus Christ and recognizes him as the only Lord and Savior. Many things are being said about the PC(USA) that are simply not true. I would be gone too. But these things that are being said are not true for me, and they are not true for the PC(USA). Even those in the denomination who are being pointed to as having “drifted” hold firm to the authority of scripture and Lordship of Jesus Christ. Amy then goes on to clearly articulate her firm commitment to the authority of scripture and Lordship of Jesus Christ. Still, the misunderstanding persists that there are large ranks in the denomination denying the Lordship of Christ, a misunderstanding that is perpetuated by careless and misleading statements. The fallacy of two such statements is demonstrated below. Jack Haberer, editor of The Presbyterian Outlook, responded to Dana’s comment saying he could not speak to that specific reference but lots of things were removed when we went to the shorter form of the the Book of Order simply because they are redundancies. The exact call to the Church Dana said was removed from the Book of Order a couple of years ago is actually still there. Comments have also been made that the PC(USA) Book of Order no longer claims Jesus Christ is the only Savior. My own quick check of the Book of Order suggests this may be true, but, in the very same reference cited above, the Book of Order does say the Church is called to lead persons to the acceptance of Christ alone as Savior and Lord. Clearly our Book of Order still affirms Jesus Christ alone (only) as Savior and Lord. I am deeply concerned misleading statements like these leading congregations to seek dismissal from the PC(USA). Claims are being made that the PC(USA) does not unequivocally uphold the authority of scripture. But is this really true? No. So before we let this concerning accusation take us to the point of division we should attempt to understand what is actually going on with the PC(USA) related to authority of scripture. Los Ranchos Presbytery hosted a discernment event in 2013 and invited three panelists, representing progressive, moderate and conservative views, to address concerns being raised in the PC(USA), including the authority and interpretation of scripture. The panelist were Laird Stuart, retired PC(USA) pastor and interim president of San Francisco Theological Seminary, Jack Haberer, then editor of The Presbyterian Outlook, and Dana Allin, ECO Presbyterian synod executive. In the video below each panelist unequivocally upholds the authority of scripture. The entire video is only 18 minutes long. It is thoughtful, enlightening and well worth watching in its entirety. We read the scriptures according to faith and grace in Christ. We read them Christologically, realizing that often passages are historically and culturally conditioned, and cannot so easily apply as law to us. We read the scripture as instructing us in faith in Christ, and a life of faith, faithfulness, which does not mean legal obedience to all that might have been taken as law. There are concerns that the denomination allows different interpretations of scripture but the PC(USA) is not dismissing the authority of scripture when it refuses to allow a particular interpretation to be authoritative. The difference is subtle but significant. There are also concerns about a perceived tendency in the PC(USA) “to replace the phrase ‘in obedience to’ Scripture with the phrase ‘guided by’ Scripture.” This is also misleading. Jack Haberer addresses “guidance” versus “obedience to” in the panel discussion video above. Jack was working with The Presbyterian Coalition to bring fidelity and chastity language to the Church in 1996 when the “Fidelity and Chastity” amendment was approved by the General Assembly. But he and others who had worked to bring this language to the Church were surprised that “obedience to” scripture had been included with the amendment when it came out of the subcommittee of the committee at General Assembly who was working on it. He goes on to say we have a long history of being a little bit more cautious than this when speaking about the role of scripture. Our obedience is to God, who has inspired the scriptures, and we are to totally obey God, understanding God’s will as the scriptures guide. Some PC(USA) congregations are rushing to build a moat and walls around their theological belief system as fast as possible. To hear them talk there is a fast approaching attack from within the denomination, reasons to be afraid, and they must protect themselves, their faith, and the Church. Dismissal from the PC(USA) will dig the moat and a defined list of Essential Tenets will build the wall. Walls are a natural response to fear but what if we don’t really need to be afraid and the walls we build only serve to close us in? Essential tenets build walls outside of which illumination is never allowed. Building walls around our theological beliefs should be what scares us. 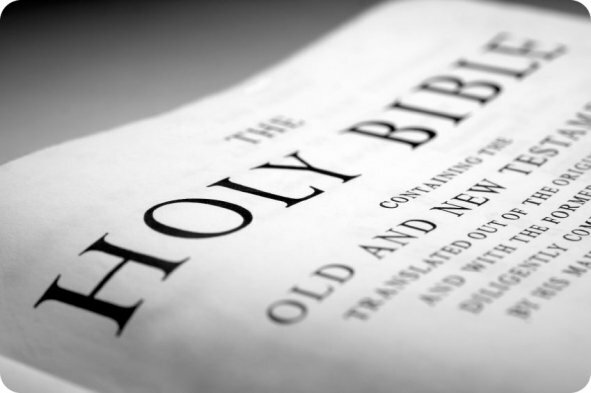 The PC(USA)’s view of the authority of scripture is being called into question by some in our denomination. Their accusation is the PC(USA) gives higher authority to culture than to the written word of God, and as a result the denomination is moving in a direction against God’s will. I understand how it can look like this but it’s not true. One of the hallmarks of Reformed Theology which is being overlooked is theology as wisdom. Word and Spirit were the basic and essential factors in John Calvin’s interpretation of Scripture and in his theology. Today the PC(USA) and Reformed Christians still submit to the authority of the written word of God as illumined by the Holy Spirit of God. We don’t submit to the written word of God as defined by a set of clearly defined essential tenets. Paul Rack, Stated Clerk of Elizabeth Presbytery, writes a very thoughtful defense of the PC(USA) in a document he wrote titled, “Apologia Progessiva.” Regarding biblical authority and interpretation he writes, “The case may be made that the PC(USA) is being far more responsive to the movement of the Holy Spirit than churches retreating into doctrinal shelters hermetically sealing them away from the present world.” I agree. So why are some members of our denomination working to protect their understanding of biblical authority with a set of defined essential tenets? Peter Enns has written an article titled, “Tim Keller on Homosexuality and Biblical Authority: Different Crisis, Same Problem.” It helped me see the road block these members face in a clear light. I recommend the entire article to you but want to quote one section in particular. I discovered this sermon by The Reverend Dr. Craig Barnes, President of Princeton Theological Seminary. Give yourself 17 1/2 minutes to watch the entire sermon. It’s beautiful, it’s winsome and it will draw you closer to Christ Jesus. Being dismissed from the PC(USA) will not change or narrow the theological positions of most congregations but in all likelihood it will build walls around them.